Ulaanbaatar offer a wide range of hotels from basic to luxury, with a little bit of searching you can find some very good deals. You can often organize with your hotel a trip out to Gorkhi – Terelj National Park where you can stay in a Ger camp. 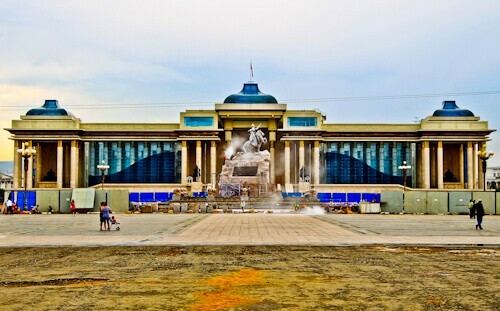 Sukhbaatar Square (often referred to as Chinggis Square) is the central square of Ulaanbaatar. 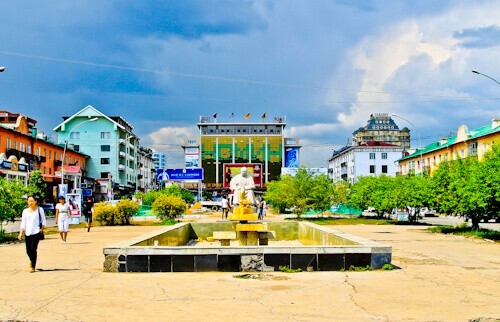 On this square there is a columned structure, the Palace of Independence (above) with a statue of the Mongolian hero Genghis Khan inside. In the center of the square you’ll see a statue of a man on horseback, this is Damdin Sukhbaatar, a leader during the Mongolia’s revolution of 1921. Chinggis Square is clean and well kept making it perfect for photography. Right next to Sukhbaatar Square is where the Choijim Lama Temple is located. The Choijim Lama Temple is a complex of 6 temples, all over 100 years old. The Gandantegchinlen Monastery (Gandan Monastery) is a walk away from Sukhbaatar Square, this is over 200 years old and it’s claim to fame is that the 13th Dalai Lama stayed there. Another stunning monument in Ulaanbaatar is the Winter Palace of Bogd Khan, this is located in the south of the city, a taxi ride away. The Children’s Palace is a theme park you may want to consider if you are traveling with kids. I have to recommend a restaurant as the Mongolian BBQ I ate at there was delicious and the service brilliant. The restaurant is called Altai Mongolian Grill 2 restaurant. For dessert they serve ice cream with a shot of vodka which is a delicious mix. On the outskirts of Ulaanbaatar you’ll see lots of Gers which to this day, Mongolians use as houses. Terelj National Park is the place to go to stay in a Ger (a glamping experience). Each Ger comes with it’s own fireplace which will keep you warm at night. The Gers at the camp I stayed at were all set up traditionally with Mongolian style interiors. Generally in these Ger camps you go to the Ger when it gets dark as you are in the middle of nowhere, with the fire lit and the Mongolian interior you truly are in another world! 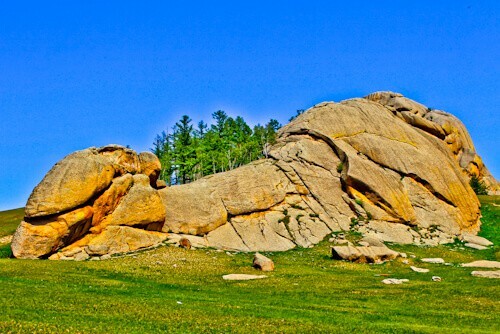 Teralj National Park is located a short drive away from Ulaanbaatar. In the park there are many unique rock formations, the most famous being ‘Turtle Rock’ and ‘Old Man Reading a Book’. You should research the names of the different rock formations in Teralj National Park before going to make viewing them more interesting! What does the rock formation above look like? With all the unique rock formations, Rock Climbing has become a popular sport at Teralj National Park. Another activity which is popular in the park is bird watching as there are over 250 species of birds. It’s possible to rent a horse to take you around the unique rock formations of Teralj National Park (above). It’s possible to hire a camel if you have a desire to ride a camel, a camel would make a more Instagrammable picture nowadays! In the National Park 80 km from the Ger settlements is Khaglin Khar Lake which is 20 meter deep glacial lake and Yestii Hot Water Springs are located another 20 km away. If you plan to visit, there is no road, so plan well! 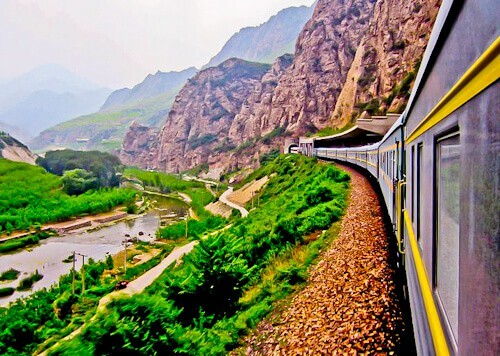 The train from Ulaanbaatar to Beijing is an overnight service. I was in a first class carriage sharing with an older German man who had dreamed of taking the Trans Siberian / Mongolian all his life. On this service there is a shower which is shared with the cabin next door, so that 4 people per shower, I must confess I waited until arriving at my hotel in Beijing to take a shower! The standard gauge of the railway lines in China is 1435 mm, the same as Europe. Tracks in the former Soviet Union countries (and Mongolia) are Russian gauge which is 1520 mm. When the train reaches the border of China and Mongolia it must be lifted up and the bogie changed to fit on the Chinese gauge tracks. The Chinese have built a huge machine to do this and the process is performed very quickly. You’ll need a Chinese visa in your passport before arriving at the border in China. If you have a valid Chinese visa then you’ll have no problem at entering China, the stamping of passports was done very efficiently on the train. So awesome! I went to UB ad the Gobi Desert but not the railway. Did you mention to catch some festivals while you were there? Amazing post, thank you! Wow even in this day some Mongolians prefer living in the traditional way, that’s quite incredible about them. I wish to live in a Ger and ride the Trans Siberian train someday. The change of tracks involving a change of gauge sounded like a huge task to me but the Chinese are genius to have found a quick way of changing it! One of my must do locations!! I love that they’re still quite traditional and you can get a real glimpse of how they live out in the plans. And the fact that you can get around by train is pretty awesome, it makes for such a wonderful journey. Oh my, such an amazing adventure. 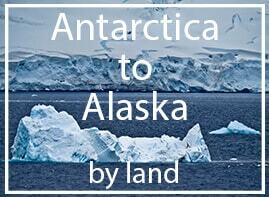 I really enjoyed reading about your trip and would love to visit this area. Staying in a Ger would suit me just fine and I love how they dot the landscape. The Trans Mongolian railroad would be a bucket list item for me. Guess I need to get a new Chinese visa soon so I could possibly experience this. Nice post. Trans mongolian train is worth ride like euro rail. Horse Riding at Gokhri will be in my wish list. I like Ger Camp kind of stuff. First of all, I didn’t know of the existence of this city. So thanks for knowledge! Good to know that its possible to camp inside the National park. The landscape looks spectacular! No doubt rock climbing is popular here! Good to know that they stamping was done in the train itself! Great list of recommendations! Desperate to visit Mongolia, so this will come in handy when we finally get there. 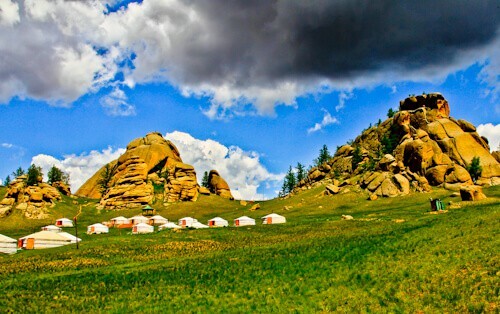 Would love to camp inside the National Park, the landscape in Mongolia is simply incredible. Honestly, I’ve never thought of visiting Mongolia before, but now, I think I want to visit it! They’ve got loads of museums there which I think my husband will really love. And also, Mongolian BBQ?! I’m drooling now! I heard they are really yummy. Thank you for sharing this, you opened a new place for me to put on my list! Mongolian barbecue and ice cream with vodka? Sold me that that alone. I also love to ride horses and am always up for a tour on horseback! Ger s look and sound rustic and amazing. I would love to stay in one of them. Mongolian BBQ and your pictures convinced me to add Mongolia to my list. Very informative post. I am sure my daughter would love the Children’s Palace. How fascinating, I don’t know anything about Mongolia. Your photos are great, the Terelj National Park looks like it has some spectacular landscapes, would enjoy taking my camera there. Thanks for giving us a glimpse of this lesser known destination. Awesome. I’m sure you had wonderful times.Just to add, Ulaanbaatar city is very unique in the world that both modern skylines, luxury homes, high towers of offices and nomadic civilization yurts, traditional homes, suburban district of gers exist in the same city. The train sounds like the cheapest way to get to Beijing. I am interested in taking this train and curious about the amenities of the first class carriage. It would be also fun to meet other travelers. You should have taken photos of the shower room on the train. Ulaanbaatar is such a beautiful place! I have only seen Ger in dramas, but would love to glamp there if I get a chance. And horseback riding sounds like a fun thing to do in Teralj National Park! Having down the Trans-Mongolian Railway myself, I can honestly say it is one of the most rewarding experiences I’ve ever had. I went in the other direction however but I did manage to take in some of the same things you did of which Terelj National Park was an undoubted highlight. Looking forward to reading the next leg of your journey! A dessert with ice cream and vodka seems to be my choice of dessert. It is fascinating about how you write about Mongolia since I have read so little about it. Ger camps are something I would love to stay in one day. I love how colorful your photos are. What a wonderful journey and one I never thought of seeing. I have wanted to ride the Trans Mongolian Train. 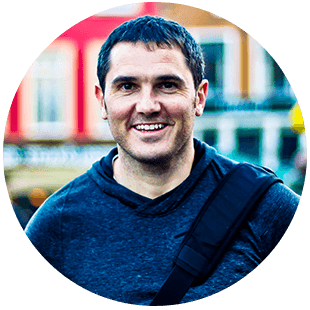 Wonderful places and great tips on what to see. Ger Camping looks like fun plus hiking. I pinned this for later. You have taken some really lovely pictures, I’m inspired to visit Ulaanbaatar, Mongolia and stay in a Ger! 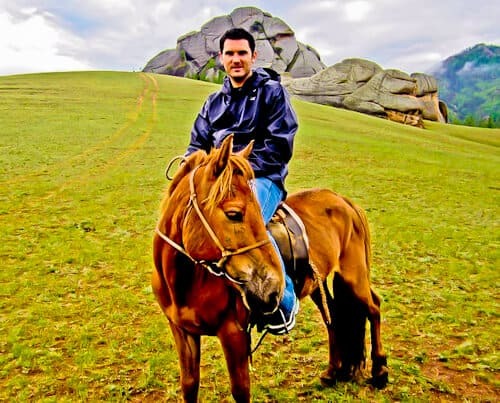 I wish to go horse riding in Gorkhi Terelj National Park one day, it looks great. I’m so excited to read this article about Ulaanbaatar. Gonna share with friends because we were just chatting about Terelj National Park in Mongolia. The Trans Mongolian journey is like wow ???? Ulanbaatar seems to be an incredible place. I am sure you’ve had a great time there. Thanks for sharing the places once can visit in Ulanbaatar. Great pictures too! wow that’s an amazing trip to a part of the world (Mongolia) I honestly don’t think too often about. Interesting about the different train tracks between the former Soviet Union and China, never thought about that! I assumed the train tracks would be a standard issue throughout the world! What a fascinating trip. I love how they chose to live life traditionally. I would have enjoyed exploring all the outdoor adventures, on a camel, but maybe that wouldn’t be as practical as a horse. ???????????? This is on my bucket list!!! But I would like to hop from Moscow, then side trip in Ulaanbaatar before heading to Beijing.. Gotta save some bucks first. Thanks for this informative post! The photos of Ulaanbaatar are amazing. I would love to take the Trans Mongolian route from Ulaanbaatar to Beijing one day. Staying in a Ger looks like a great glamping experience too. Very informative tips on visiting various point of interests in Ulaanbaatar. I Will definitely refer to this article again before I take the Trans Mongolian. The Terelj National Park outside of the City looks like an interesting place to see unique rock formations and stay in a Ger. This is my dream route too! Staying on a ger and doing the trans-mongolian route are definitely on my bucket list. That ice-cream you tried in Ulaan sounds amazing!